Are you a fan of the Cuphead anime video game? We have an enormous collection of Xbox Digital and Cuphead Mugman merchandise. 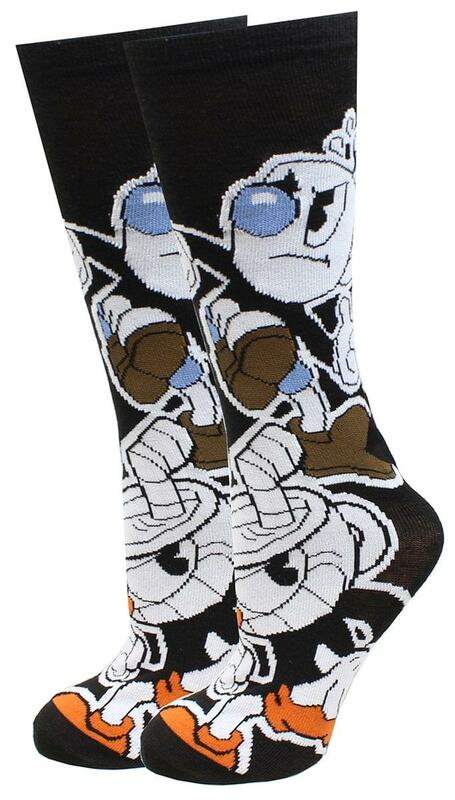 The newest edition in the Video Game Xbox One collectible set, Cuphead and Mugman socks! The Cuphead Xbox socks feature Cuphead Bang Bang heroes Cuphead and Mugman in ready for action mode. This exclusive pair of black crew socks are made of comfortable 98% polyester and 2%spandex, measuring 6-12 inches length. Add some style to your step with these Cuphead games ps socks. Get the Cuphead limited edition collectible socks to add to your collection and Cuphead costume now. The Xbox game featured socks can be a great birthday or Christmas gift for any Cup head fan!